Water is not the only naturally occurring element that can cause problems in your home. 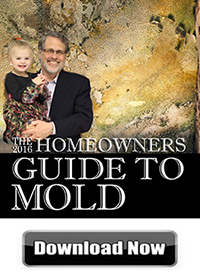 Mold, which is closely associated with water damage, can also cause serious issues. There is always a level of mold spores in the air which makes mold growth a constant threat and its presence can result in structural damage and a number of health problems. The mold spores need water and a food source to form into mold and according to the IICRC and EPA, significant cases of mold growth must be treated by a professional. ServiceMaster NCR provides mold removal services to remove mold growth from homes and businesses in Reston, VA. Our advanced Trifect mold removal method and InstaScope testing allow us to provide thorough mold remediation and ensure that every bit of mold has been removed. Mold typically uses cellulose as a food source which is an organic material found in wood, drywall, and other household surfaces. This means that mold slowly devours the affected surfaces, leaving them unsalvageable in enough time. The potential health issues are also a cause for concern as mold exposure can lead to allergic reactions or more serious respiratory problems. We keep ourselves safe through the mold remediation process with effective personal protective equipment (PPE) including waterproof masks and gloves. We measure the concentration of mold in the air outside the home or building which is used as a baseline measurement. We test each room in the house and compare the results to the baseline measurement. Rooms with elevated levels are retested so we can locate the mold growth, including hidden mold. Surface Application: We treat visible mold growth with a proprietary topical solution. MAG 50: Hidden mold is treated with submicron aerosol decontamination. Testing: We do one more round of testing with InstaScope to ensure that there is no remaining mold growth. The first appearance of mold growth should be cause for alarm because reacting too slow allows it to spread further for an increased chance of permanent damage or health issues. Our advanced InstaScope testing and Trifect mold remediation method are effective and cost-efficient solutions for mold issues in Reston, VA. You can call us 24 hours a day at (703) 212-7000 for more about our mold removal services.